Jasmine,does it get cold in Agrabah? To mhs1025: Yes actually temperatures can reach down to below freezing, but rarely anyone goes out by sundown everyone just stays home until Spring and Summer. kristenfan10109: Melody is fine with it she would like a younger sibling wait till her surprise on Christmas hehe ;) and sure kristenfan you can come be her sister now and again. To Pocahontas and Tiana: What are you doing right now it's almost Christmas? 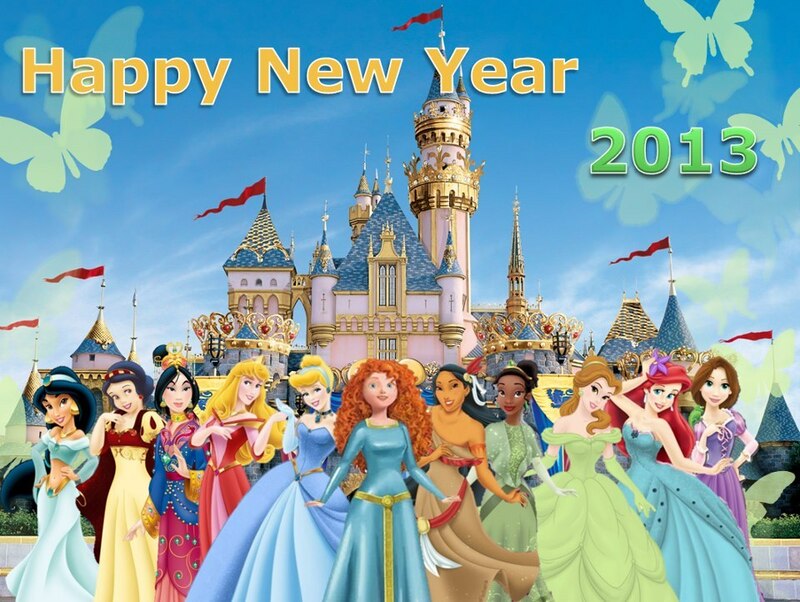 rigo1315 to other Princess and Players: Merry Christmas!!! Tiana: Organising a Christmas Party with my friends! To the princesses: Are you going to watch the Nutcracker ballet by Tchaikovsky??? Aurora, Cinderella, Ariel and Rapunzel: Yes, we're looking forward to it! Tiana: I don't like the ballet. Too boring. I'd rather be doing something productive to a bit of jazz music in the background. Jasmine, Pocahontas and Mulan: No, ballet shows seem to last for ages when you're sitting there watching it. It's not fun for us. We don't know the story. Belle and Aurora talks us through them before hand. But we can't ask questions during the shows without people staring at us or giving us dirty looks. So we keep away. Belle: Ah! The Nutcracker! Must put that on my reading list. As for the show, I prefer to read the books before I see anything. But I'll consider it. Snow White: *yawns* They send me to sleep. No, I'll think join Tiana and do some cooking. Aurora and Jasmine: Are "Keys to the Kingdom" and "Peacock Princess" apart of your history or did Disney make them up to teach certain lessons to little girls? Aurora and Jasmine: They have more Moral values, but we just don't see why many people dislike it. Snow White: Have you watch Mirror Mirror? Cinderella: Yeah she did and "Snow White and the Huntsman"
Aurora: She's upset that she hasn't had a sequel produced by Disney yet, but she did like Mirror Mirror for the humor. Belle: And Snow White and the Huntsman for a tougher stronger revised Snow. To Louis: How many songs or gigs do you do at Tiana's Place? And do you get other gigs in other area's of New Orleans now that you have gotten soo popular as the only Alligator to play trumpet? All DP's-Since Disney bought Star Wars,do you think Padme Amidala also has a potential chane of being a Disney Princess? DP: No, she's a queen and plus her hair is SUPER UGLY!!!!! To all the Princesses: Did you all sing As Long As There's Christmas during your carolling this year? If you could which video game would you like to be a part of? Or continue to participate in? How many of you see Anakin Skywalker as the next Disney Prince? DP: Um, he's hot but we don't know! Cinderella: Is Bruno still around? So Sebastian do you enjoy looking after Ariel and Melody? Sebastian: With Ariel, yes but with Melody, NO WAY!!!! Melody: Is it true that everyone dislikes you? Well it's really both. Some people like me and some don't. I'm pretty fun and lovable once you get to know me. rigo1315: There are probably many reasons to hate a character, but for Melody the only one I've heard the most was the sequel and making Ariel old. If people hate Disney Princess children for making their characters old then bad news to Pocahontas and Belle's adorable kids. Melody: Well I hope they didn't expect them to just be young forever. Even I have to grow up sooner or later. So speaking of Disney Princess Kids.... Belle do you read to yours every night? Does Adam help? What do you read them? Belle: Yes, Adam acts out and currently we're readying The Chronicles of Narnia which was recommended by dee389. You know something, Susan reminds us of Merida! Merida: Is it true that Susan reminds us of you? Mulan how does it make you feel when people say they do not like your eyes? To all the Princesses: Have you all been to Milan, Italy before? No we have not. We hope to go someday. How many of you heard about that shooting in Conneticut? DP: All of us actually, dee389 was the first to mention it to us. To all the DP: I would like to wish you all a Happy New Year from Malaysia! Take care!! Snow White: I must be strong on the inside! 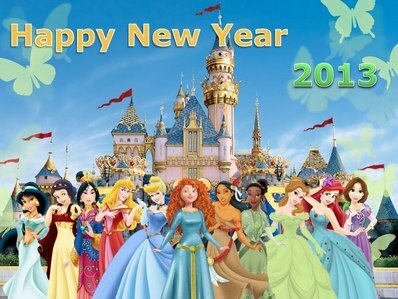 Cinderella: Nothing much, just be happy and blessed this year. Princess Aurora: I'll helpful to my parents and the fairies, will spend more time with Philip. Ariel: Will spend more time with my daddy and sisters. Jasmine: Must be on the gentle side! Pocahontas: I must bring peace and unity, also say no to war! Mulan: Protect my people too! Tiana: Take it easy with my job! Rapunzel: Decorate the castle more, and spend more time with my parents. Merida: Mustn't argue with my mother ever again! Belle: Have you read Agatha Christie's Poirot or Miss Marple? I've read both of those and they're wonderful! Pocahontas,when are you due with your baby girl Hazel? Cinderella: Have you seen Gone with the Wind? All Princess: Would any of you go to a Punk Rock concert or something along the lines of a screaming band type of concert? All the DP: Well, it's not our kind of music sorry, we would rather attend a Classical Music concert. Mulan: Can you speak any Chinese dialects (e.g: Hokkien, Hakka and Cantonese) or just Mandarin? John Rolfe, do you ever regret stealing Pocahontas away from John Smith? John Rolfe: Yes, to be honest, I'm going to divorce Pocahontas because she also felt remorse about it and spends most of her time with him. Even the children likes him! To all the Princesses: Did you all go to China to attend Mulan's Wedding? Pocahontas: Nope, that guy is only good at passing false rumours and lies. That's why we're in midst of a divorce. Belle: Have you read The Archie comics? POcahontas: are giving a Valentine to Both your Johns this year? Pocahontas: Yes, but I don't know where Rolfe is now because after our divorce was finalised, that was the last time I actually saw him. Mulan: Are you going to invite me and other princesses for the Open House party for Chinese New Year next month? Mulan: Sure I Guess, but I am really busy so My Mom and grandmother are the ones in charge and they will be the ones inviting people. Rapunzel, how do you feel being called dumber then Jasmine and Belle? Do you agree or do you think that is BS? Rapunzel: Nah, it's only a rumour! To all the Princesses: Do you like Snoopy the dog? Of course he a sweet dog and we have good laughs with him and woodstock. Do you guys hangout with any Star Wars or Marvel characters now that they are a part of Disney? Disney Princesses and Princes: We did, we threw a party last night to get to each other more. To all the Princesses and Princes: Did you all watch Gone with the Wind? If so, do you agree all that Vivien Leigh is a pretty actress? She is quite pretty, but all of us, especially Tiana had certain issues with that movie. Kinda ruined it. Wendy: How did you handle it when you realized you were too old for Peter to take you away? Wendy: At first, yes. Was sad, but managed to over it! Prince Charming: Are you also a Navy captain? Ariel, Do you think Your Father was a Bad Parent? And Why or Why not? Ariel: He's not close to his daughters, after mummy died. He's like Captain von Trapp! Tiana: How exactly does Gone with the Wind gave you issues??? Tiana: well the fact that Black people were servants and slaves is the biggest problem I have and how they were represented....sorry those issues still bother me......Those times were not good for my people and I believe Black people were misrepresented alot in those films. Ariel, Captain Von Trapp was not necisarrily a bad father so are you saying your father was good but distant? Cause not being close to your daughters also does not make you a bad father (I mean he did have alot of responsibiltys and was trying to raise a lot of daughters on his own)...so once again do you feel he was actually a Bad Dad? Ariel: Sometimes, but he overdid it.........so yea at least his opinion changed about humans in the end. Mulan: Do you know Wong Fei Hung? Mulan: um no sorry....I will have to ask Shang, maybe he knows....or you could tell me about him? Mulan, what did you do for fun before becoming a soldier? Nothing basically. I had to help take care of my father most of the time. Pocahontas, do you or John Rolfe have custody of your kids? Pocahontas: Well, I love my children, but I'm worried that the courts will award him custody because I'm foreign. Jane: What aspects of moving to the jungle did you enjoy most? Especially in regards to the lack of rules about politeness and protocol? To all the Princesses: Have you been to Copenhagen? Pocahontas, why do you say you're foreign? Did you and Rolfe live in England at one time or something? Wait doesn't foreign mean living in the same area for along time something like that like Local? Ugh! I'm sorry I know John told me that Native and Foreign are where people live and I'm still getting used to it because I never use those terms to describe who I am. Adam (Beast) If your Belle was shot over the city line and lost all her memories of you and the twins how would you react? (Spoiler from Once Upon a Time abc show). Adam: Will try our very best to make her remember, but first this I need to consult to Cinderella's Fairy Godmother for assistance. To all the Princesses and Princes: Do you know basketball? If so, do you guys play among each other? Of course. It took a lot of time to get the idea of how to play, but we all practiced and now we play basketball matches every Friday evening. Eleanor (Brave mom): Not all the Princess are perfect what flaws would you point out to the girls if you were their mother instead of Merida?